The ban does not apply to restaurants. 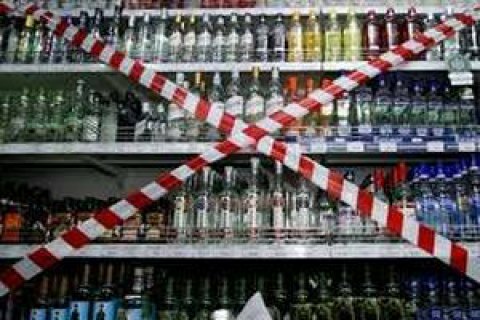 The ban earlier approved by Kyiv' city hall on the sale of alcoholic and soft drinks from 23:00 to 10:00 takes effect tonight, the press service of the Solidarity faction in the council reported on Thursday, 13 October. "The decision was published in the city newspaper Khreshchatyk, which means that it takes effect. The city authorities continue awareness campaign among entrepreneurs. We will keep sending letters to entrepreneurs to inform them of this decision today," the release says. The city hall decided to ban selling alcohol at night on 22 September. The prohibition applies only to the retail sale of alcohol. Sale of alcoholic beverages and beer in restaurants does not fall under restrictions. Kyiv authorities warn they will revoke licenses of those businesses that will fail to comply with the city council's decision.